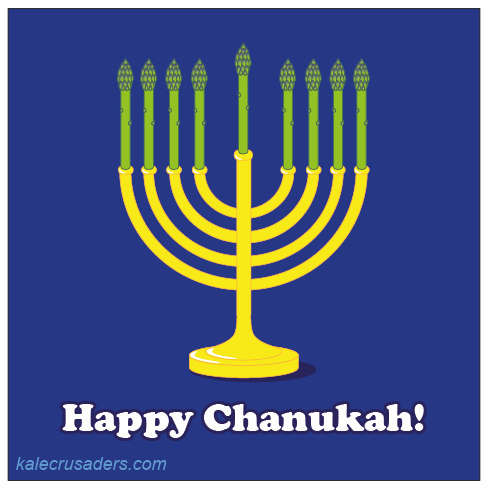 Tonight is the first night of Chanukah! For those of you who wish to honor the holiday without frying (or baking*) up some latkes, consider Aviva Goldfarb's Edible Menorahs as a crunchy, veggie-filled, and festive alternative! * We have mentioned this before, but we absolutely love this Vegan Baked Latkes recipe by Annie Shannon of Meet the Shannons.